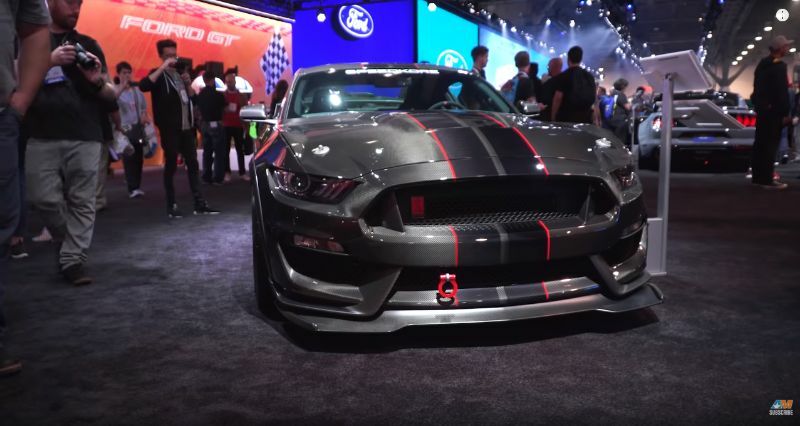 There have been many Ford Mustangs over the years, so take a look at some of the top versions on the track. 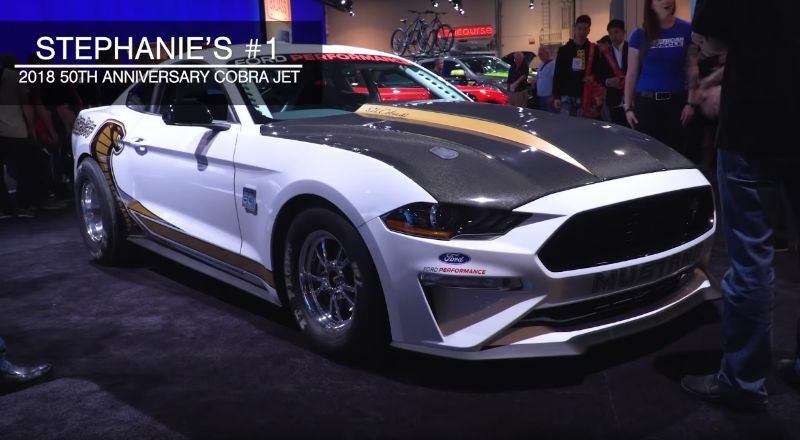 The first run-through of tests is with the stock version of the 2019 Mustang, while the second version swaps out the tires, followed by a 93-octane tune and rounded out with E85 ethanol. 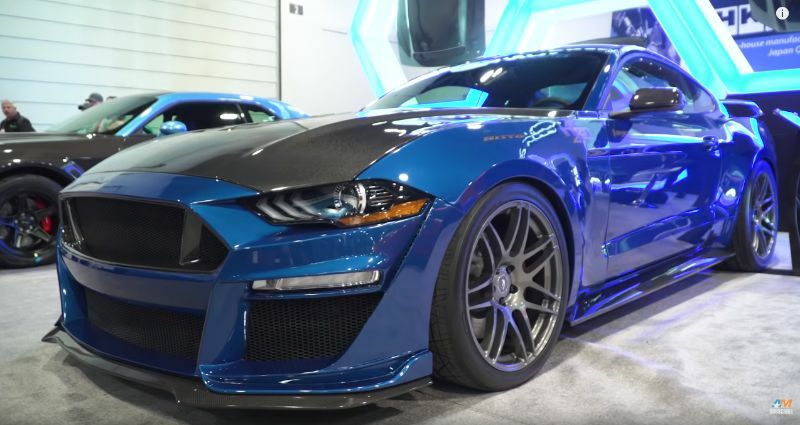 With the stock version, the 2019 Mustang’s street tires are at about 26 pounds of pressure. The auto hooked up very well in drag mode with advanced track off. This version weighs 4,025 pounds with a person inside. 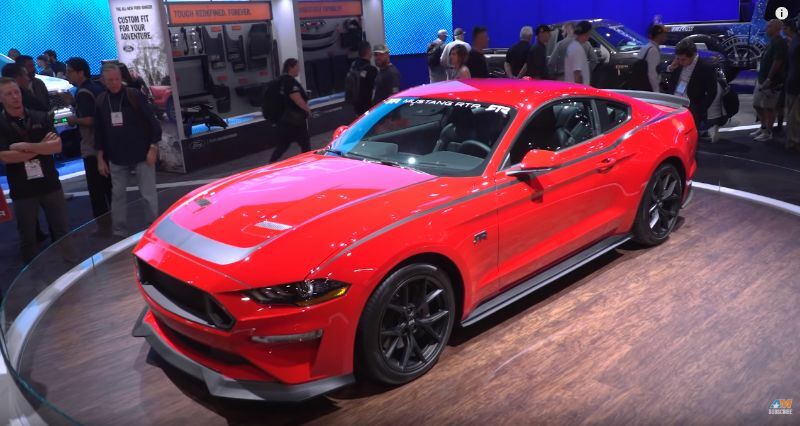 The results from this run were 12.1 seconds for the 60 feet at 117 mph, which are very impressive figures for a stock auto, showing that Ford knows exactly what it is doing with the latest Mustangs. For the second run, it built up less rpm at launch but still got 11.97 mph and 117.95 mph, even better than the first run. The calibrations remained the same, but the tires were upgraded for drag radials of 20 to 21 pounds on the next set of runs. This should translate to extra gusto for the launch. The first run didn’t go great, with something related to traction control happening soon after. This required some adjustments and a new try. When everything was ready, the Mustang took 12.3 seconds at 116. There was a feeling that the launch was a bit slower, indicating that the stock Goodyear tires are the way to go for that component. Next up, they uploaded the 93-octane tune, which includes a flex-fuel tune. The expectations are not for a huge gain, with greater expectations for the E85. While the tuning configuration took place, they went ahead and replaced the drag radials with the stock tires based on the performance comparison. This led to the best time of the day so far, which was 11.93 at 117.90, although the speed was about the same as the stock version. The car felt nice and solid during this run. In terms of feeling, the auto felt a lot stronger and healthier with this configuration. The second run delivered the best speed of the day, with 11.95 at 118.16. They did feel, however, that it would be a bit better than the figures indicated, although it was very respectable. For the last comparison of the top Mustangs, they drained out the 93 octane and uploaded the E85 tune. They used a tight drain tune to take care of the swap quickly and fully. To use that trick, you set everything up right away and get it bone-dry. Before doing the run, they let the E85 get into the system. This is the configuration that had the highest expectations going into the day. The first pass shows that predictions were accurate and that this is the best configuration of the day for performance, getting 11.80 at 120.67. The second run topped the time with 11.74 at 120.9. For a third and final run, the figures ended up at 11.66 at 121.37. Based on the figures, the E85 is the way to go, giving you amazing performance with this Mustang configuration, even with an automatic.